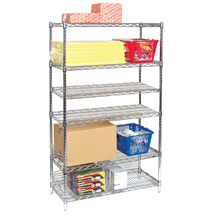 A Wire Shelving Rack that needs no tools - what could be easier?Complete wire shelving rack includes 4 poles, 6 shelves and plastic snap sleeves. Poles are marked at one inch increments for easy assembly. Snap sleeves can be positioned anywhere on the pole. 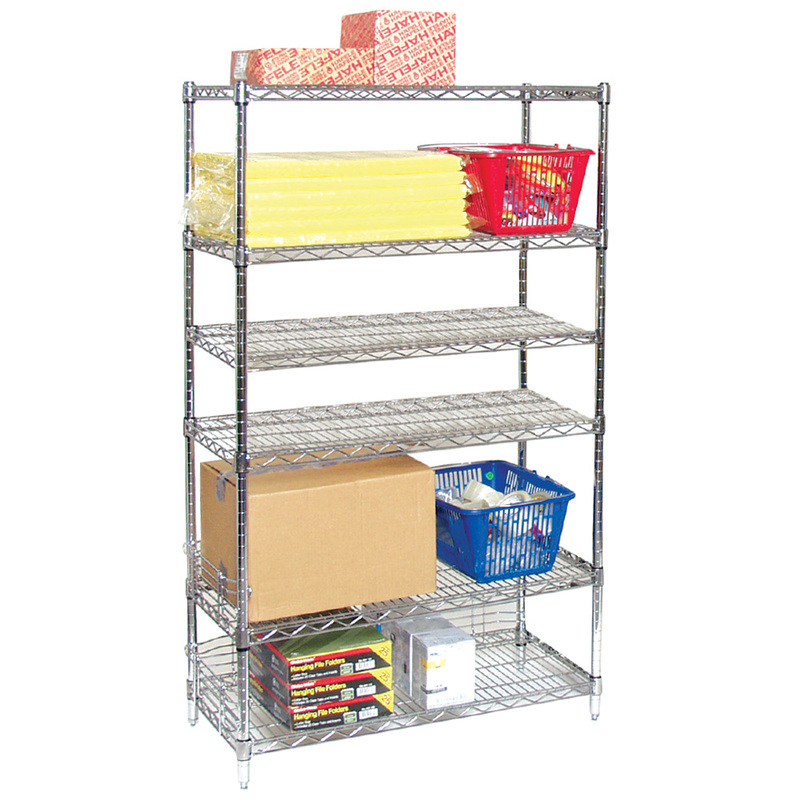 Wire Shelves slip easily into place over the sleeves. Optional casters available, item 1013.